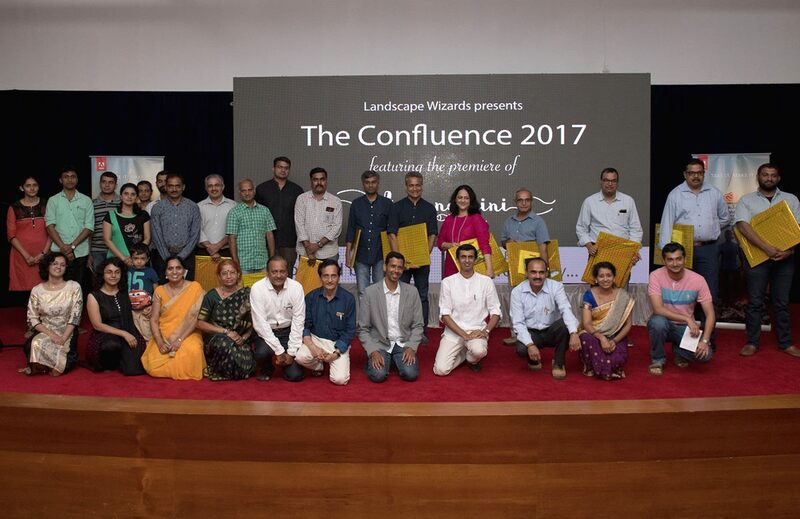 With two successful annual celebrations since 2015, Landscape wizards embarked on another special Journey through The Confluence 2017 in the month of August 2017. 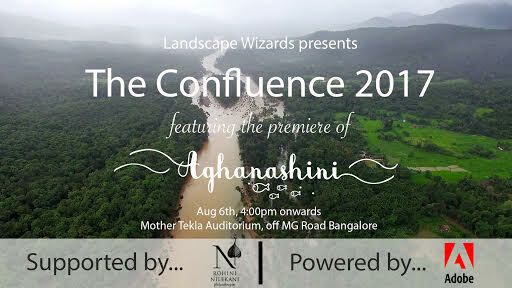 In the third edition of ‘The​ ​Confluence”,​ Landscape wizards’ decided on premier its first documentary feature film – “AGHANASHINI“.​ ​ Everything was set for the event which was planned for the evening of August 6th,2017 at Mother Tekla Auditorium, Bangalore. 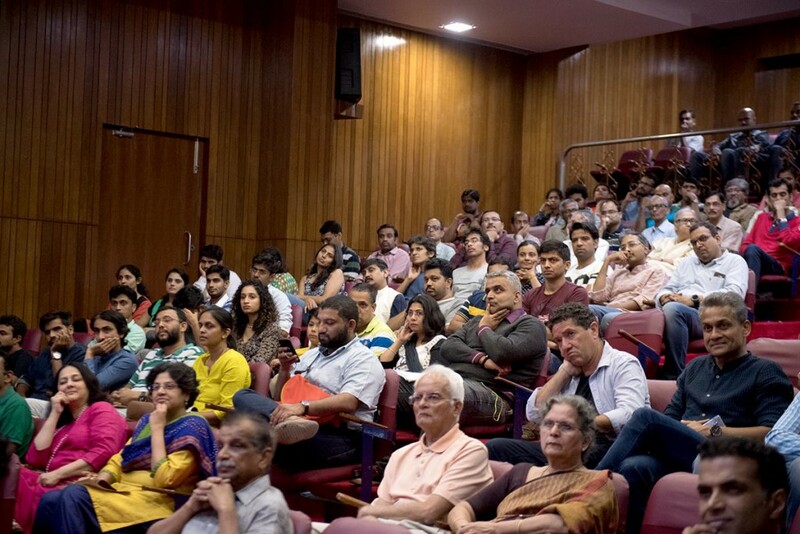 This occasion to celebrate beautiful Indian Landscapes attracted not only the photography community but also conservationists and nature enthusiasts from all across the city. This is mainly due to unique documentary on a unique river Aghanashini. Aghanashini is a west flowing river in the Western Ghats of Karnataka, whose flow is still in the same natural course without since millions of years due to absence of any dams and its water is still pure due to the absence of any industries along its path. More information on this project can be found on our Aghanashini WebPage. 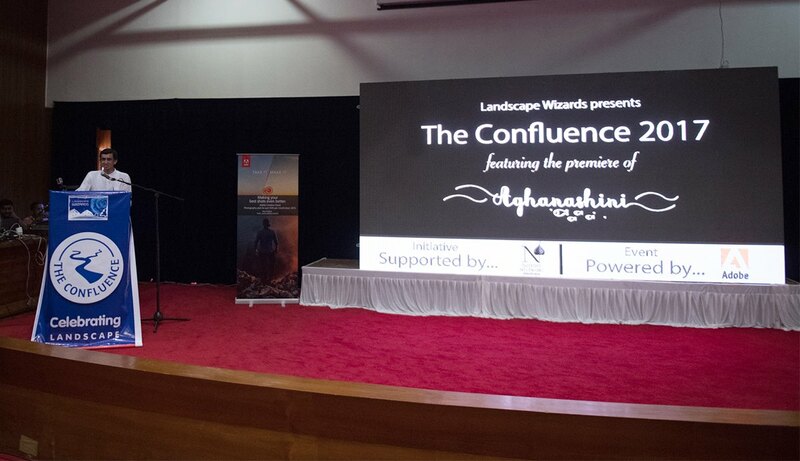 ‘Aghanashini’ documentary was conceptualised by Ashwini Kumar, a Western Ghats expert of Team Landscape wizards. 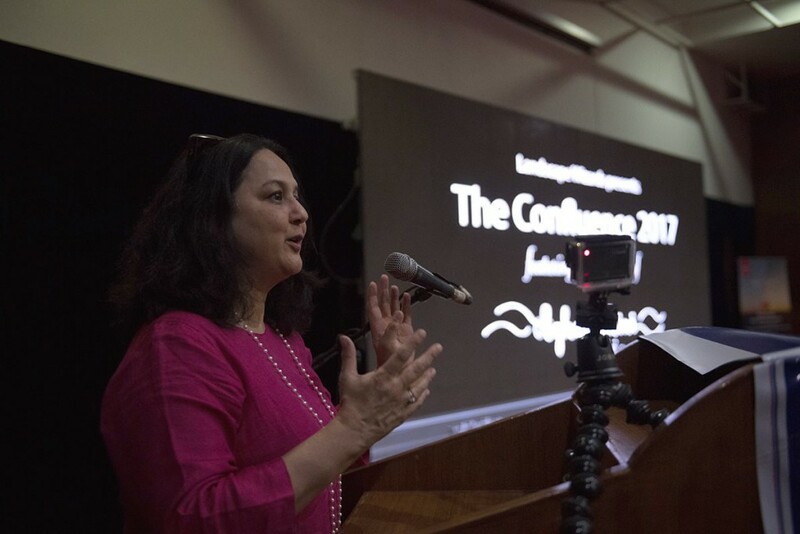 The idea to showcase a landscape which is still pristine caught the attention of Rohini Nilekani Philanthropies. 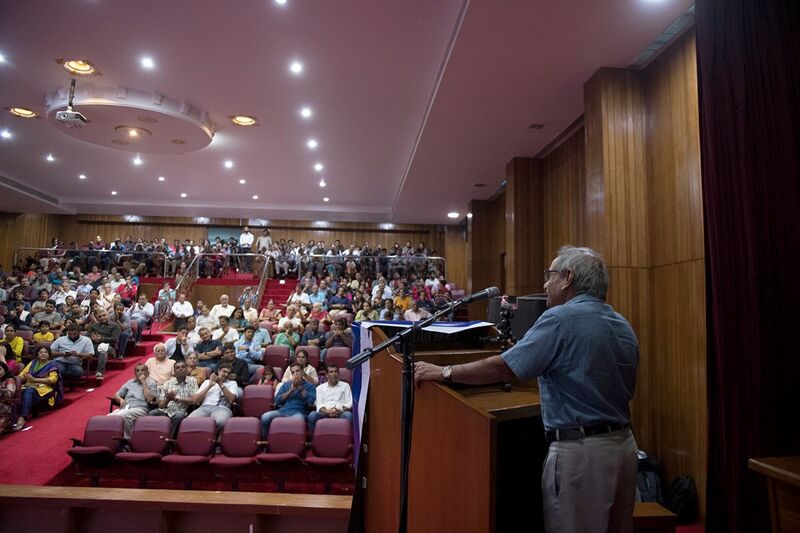 The idea to go for crowd funding for the partial support was also a big success. At The Confluence, both of these supporters showed their presence. By 4.15pm on the Sunday evening entire auditorium was occupied! 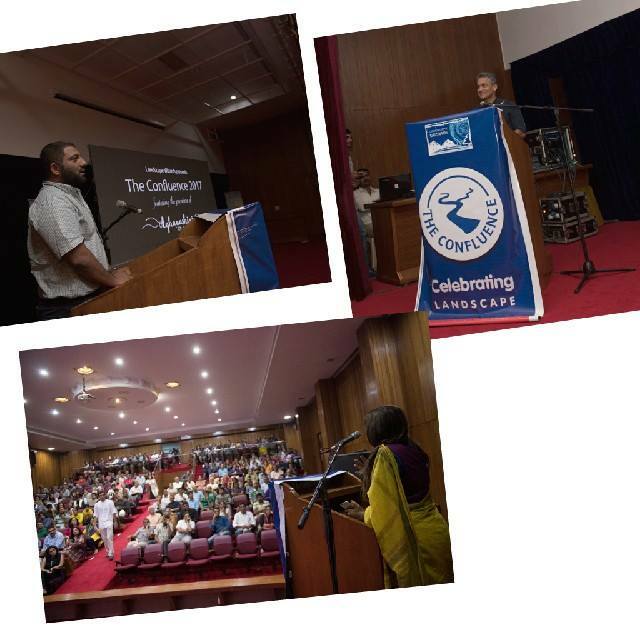 The Event started with a Welcome note and an Introduction from Sahana Balkal, who is an inseparable part of Aghanashini project! 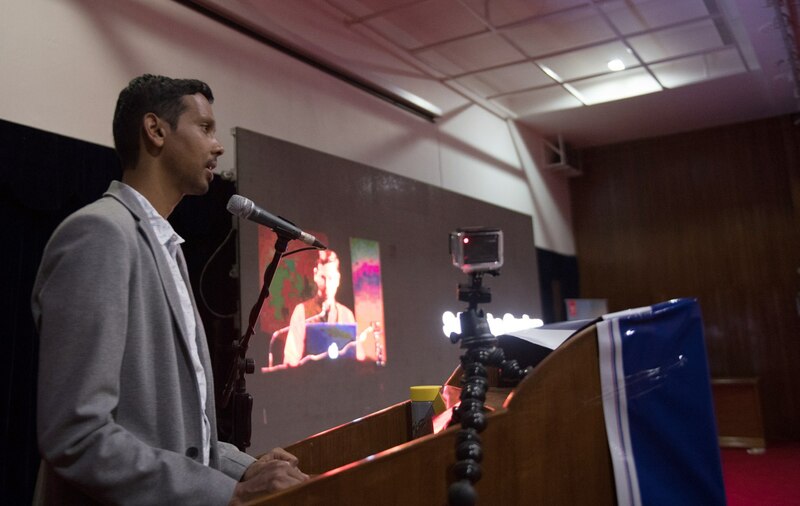 Sriharsha Ganjam, from Landscape wizards who also represents the Adobe gave a talk on how Adobe became effective tool in telling a story on a rare phenomenon – Moonbow. In fact, Moonbow at Unchalli is the first record of such phenomenon for Asia! This was an amazing finding during the filming journey of Aghanashini and also a new unseen story of Landscape Wizards. 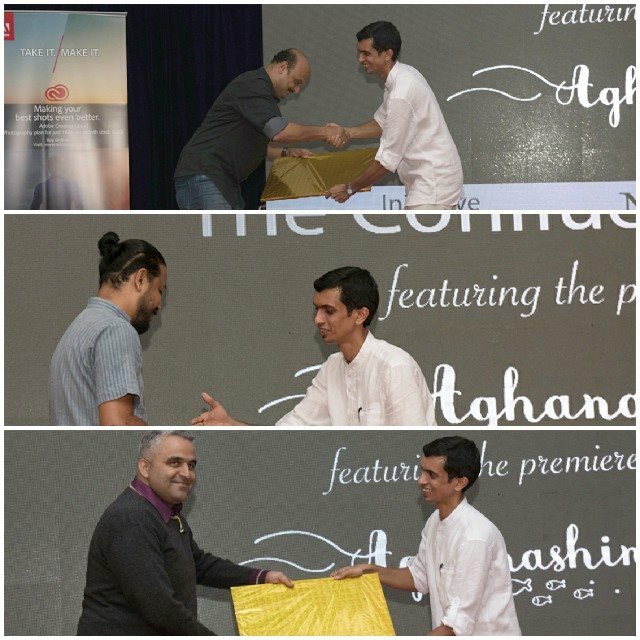 Then Ashwin gave a talk on the entire journey of making of Aghanashini, since its inception till the end of post production. 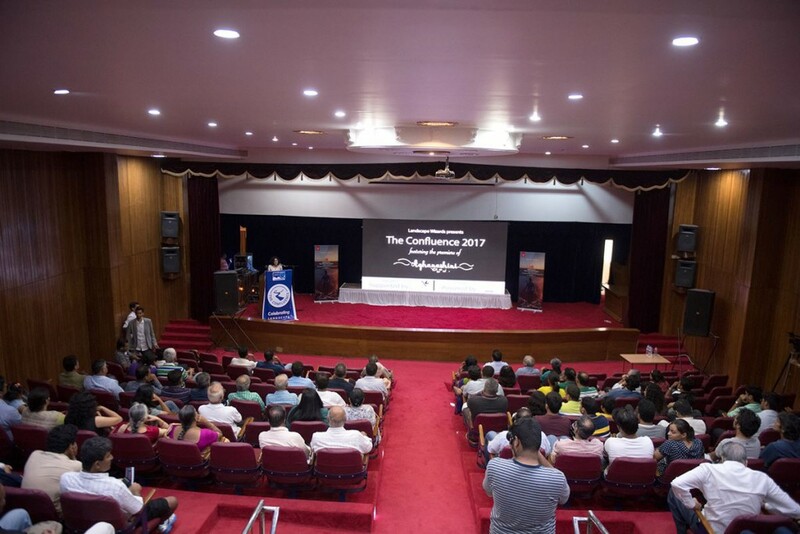 This was followed by Keynote talk by distinguished guest Smt Rohini Nilekani, a committed philanthropist also a major supporter of the film Aghanashini. She ensured her speech to be short and sweet! as she herself told that, she was more eager to watch the movie! 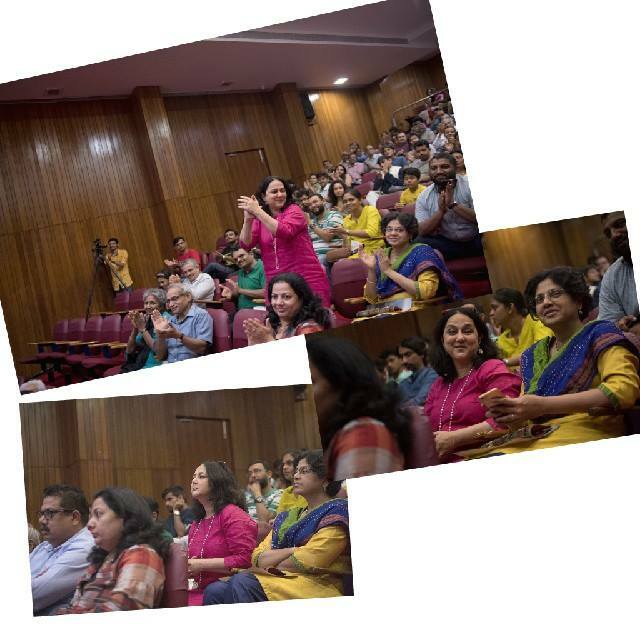 Her words gave a proud feel amongst fellow audience who are all associated with the project. 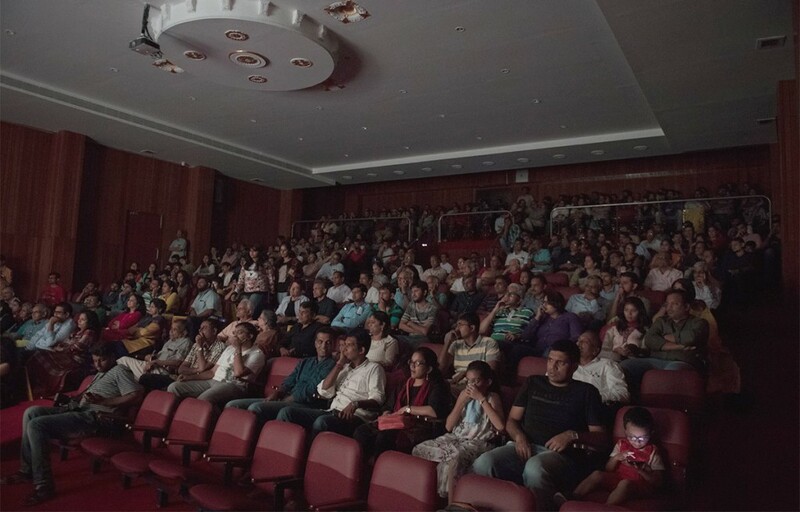 During the entire event she added relevant points and made the screening more interactive ! 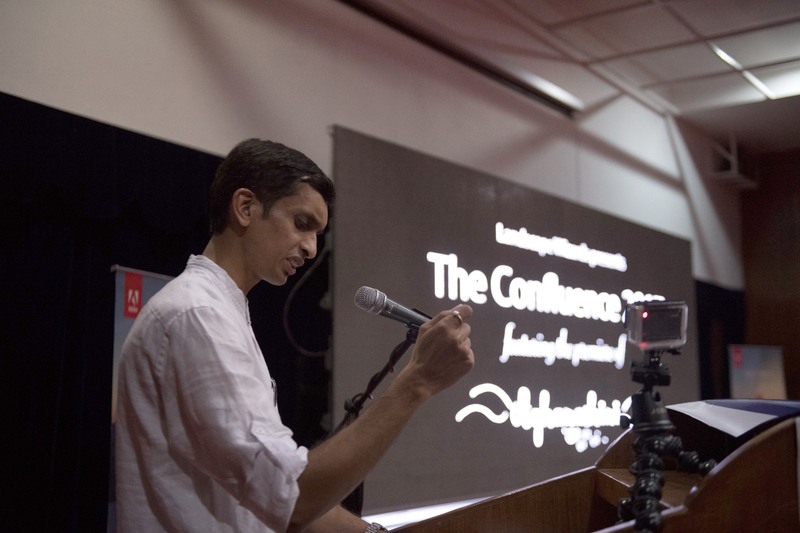 Mr. Nagesh Hegde a well-known journalist, author, science and environmental columnist gave a crisp talk on the importance of Aghanashini river and the documentary. He is with team Aghanashini from the scratch. 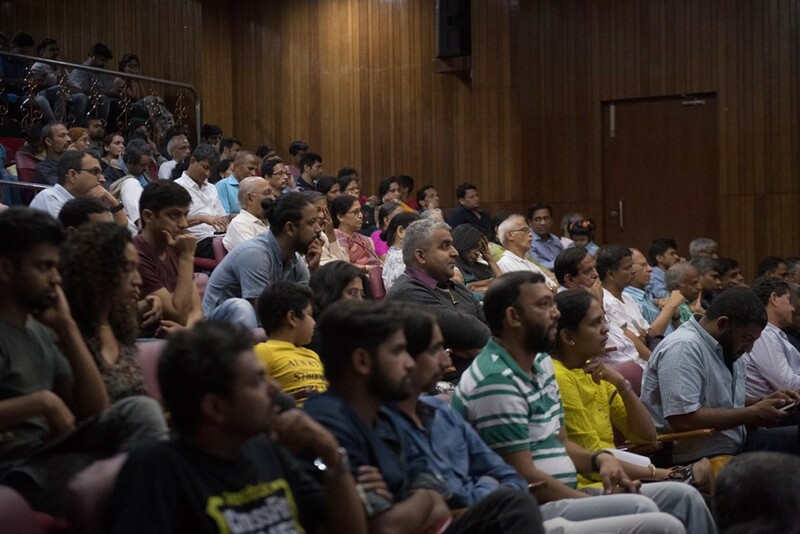 Then it was a delight for audience to listen to Mr. Vijay Mohan Raj , chief conservator of forest who has also made long lasting contribution in conserving unique species of Aghanashini basin. 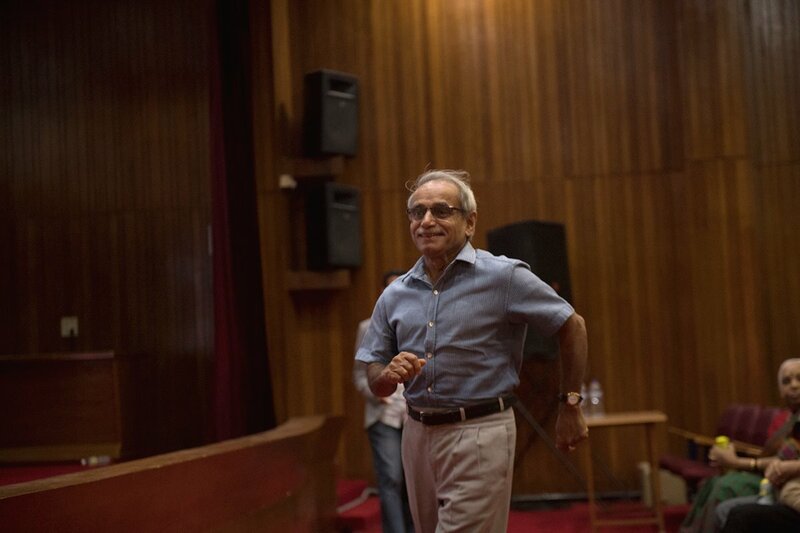 He recalled his bonding with Aghanashini and mentioned that how apt the screening time is as it coincides with Karnataka Forest department’s celebration of “Forest for waters”. There was a short session on moments with supporters. 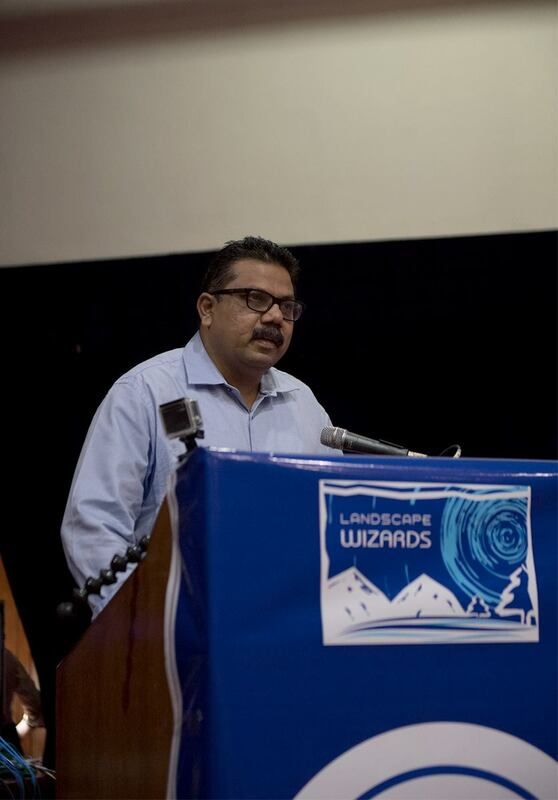 Landscape wizards handed over the rewards to all its supporters as promised. The team truly had memories to cherish with all of them. This was immediately followed by the documentary. Next 41min was total silence! We could see how Aghanashini’s flow took the audience to her world! We were mesmerized by the response. 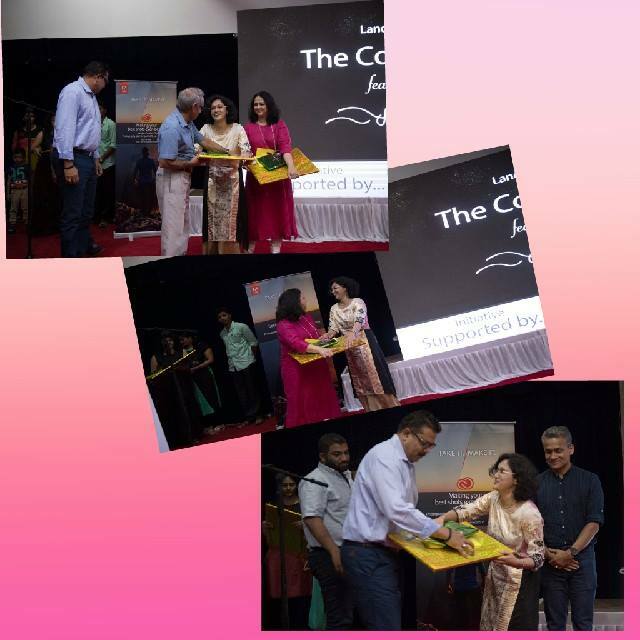 Mr Mangal Shetty, A long time corporate executive,the director of Panchabhoota foundation which works for the sustainable living of people at Aghanashini estuary and Goutham John and Vasanthi HariPrakash, who gave voice to the film expressed their views on the film. 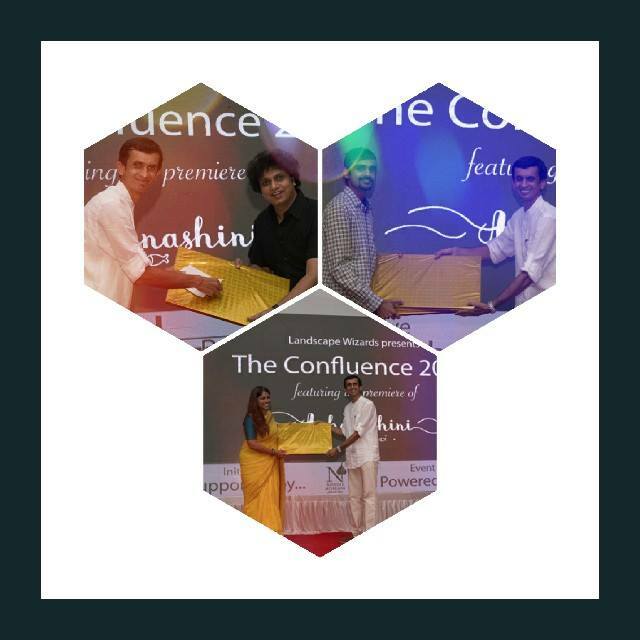 The event was primarily sponsored by Adobe. As Sriharsha gave formal vote of thanks, high Tea was ready outside. I m waiting for this video.I m from Sirsi.those who are from the region of our Aghanashini River,all are eagerly waiting to see our geo-diversity,bio-diversity and how peoples are attached with the Goddess Aghanashini. The Unchalli falls is the major part of the River.I know pakka the Unchalli falls will shine.And the one more part of the River is joining to Arabian sea.where we can see fisheries and different types of sea living organs. And I m waiting to see,Origin history of Aghanashini and flow of river.Please telecast as much as possible. Where I can see the full Video?Please inform me.